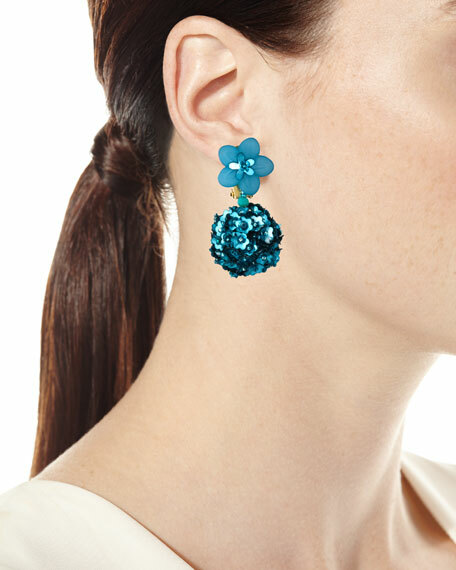 Fleur drop earrings by Sachin & Babi. Metal hardware and clip-on backs. With every purchase Akola reinvests 100% of profits to empower women and families in poverty. Earrings by Akola. Bronze with horn and bone inlay. For pierced ears. Imported. With every purchase Akola reinvests 100% of profits to empower women and families in poverty. Akola horn and tassel dangle earrings. 18-karat yellow gold plating over brass. Horn posts and geometric drops. 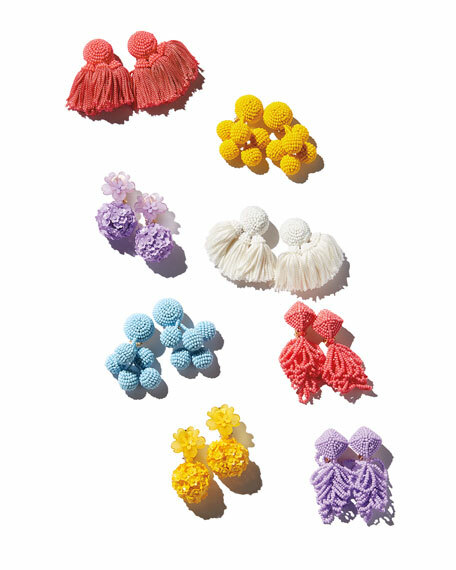 Glass beads and raffia tassels. Post backs for pierced ears. Made in USA. Asscher-cut drop earrings from Fantasia by DeSerio. 18-karat white gold plated sterling silver with rhodium finish. Canary yellow asscher-cut cubic zirconia drops. Round clear cubic zirconia pav??. French wire for pierced ears. Made in USA. Kenneth Jay Lane crystal circle drop earrings. Gunmetal-tone plating over metal hardware. Round posts and drops with crystal spikes. Mixed-cut and multi-size glass crystals. Post backs for pierced ears. Approx. 2.8"L drop; 2"W. Imported.